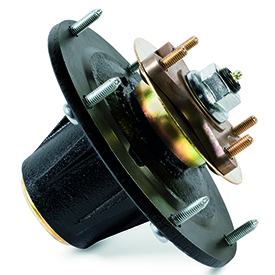 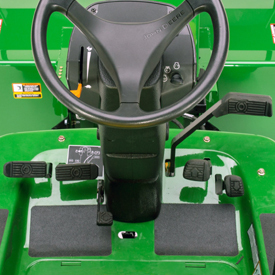 Easy-to-turn knobs are provided to release the air conditioning condensor (1575 and 1585 only) and fuel and hydraulic oil coolers so they can be tilted back to permit thorough cleaning between them and the engine coolant radiator. 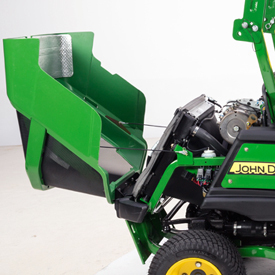 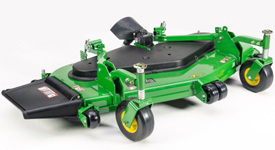 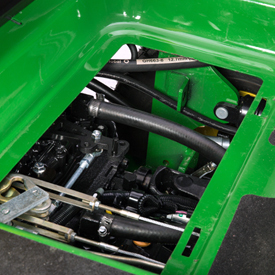 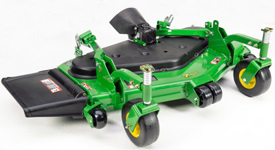 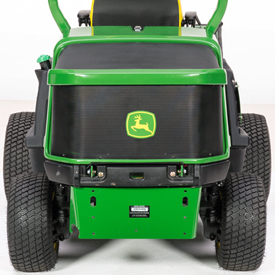 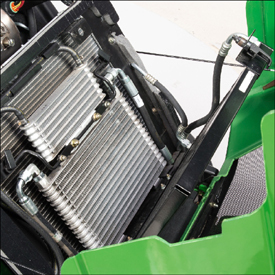 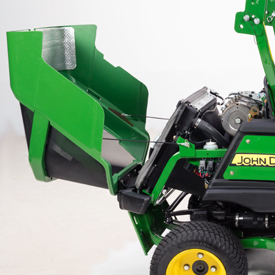 The ComfortCab is standard equipment on the TerrainCut™ 1575 and 1585 Front Mowers. 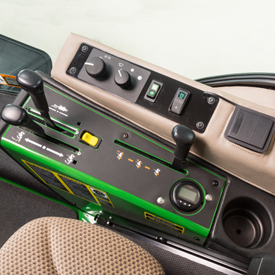 It is one of the most comfortable, quiet, and easy-to-use cabs available anywhere. 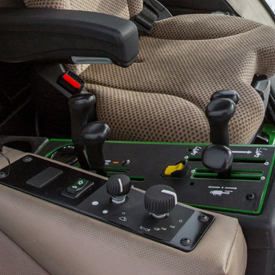 This premium cab was developed using extensive research and testing, and some of the most advanced design techniques available. 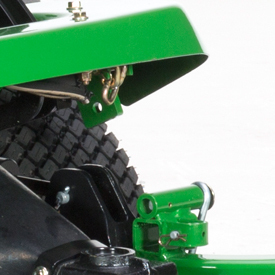 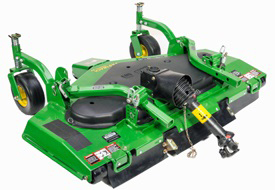 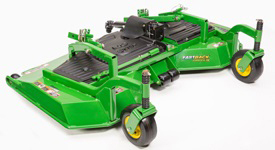 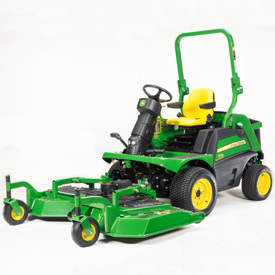 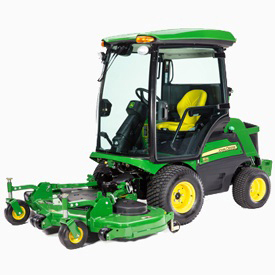 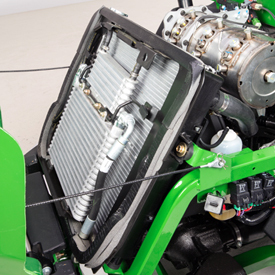 Whether mowing or doing other implement work (such as use of the snow blower, rotary broom, or front blade), the TerrainCut Front Mowers have the versatility and muscle to get the job done, all while protecting the operator from the elements. 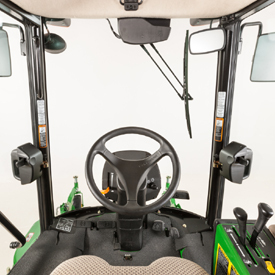 Operators are sure to appreciate what this cab has to offer - beginning with a design with visibility in mind. 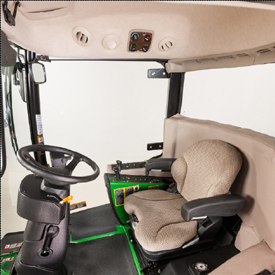 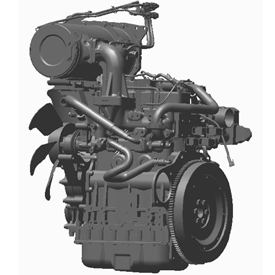 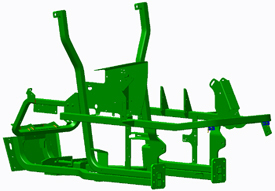 The cab is designed with robust mounting points integrated into the rollover protective structure (ROPS). 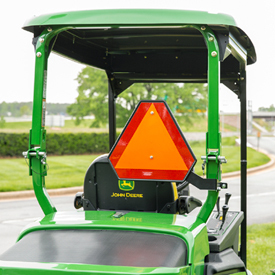 Operators enjoy a unobstructed view no matter what task is being performed. 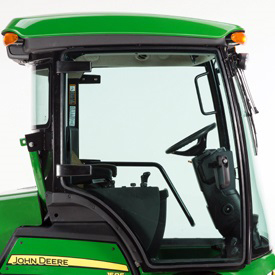 The ample headroom and curved glass on all four sides provide a roomy interior and give operators a big-cab feel. 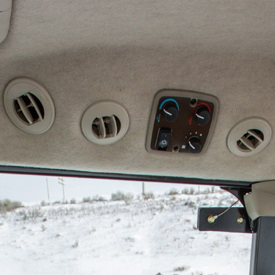 The climate-controlled cab makes any task more enjoyable, whether on a frigid winter day or a hot summer day. 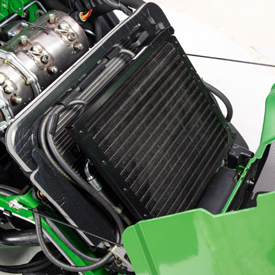 A standard high-efficiency clean-air filter reduces dust and allergen particles. 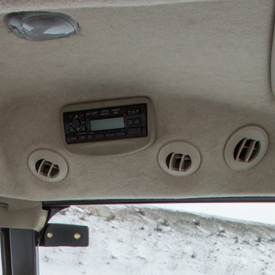 Heater and air-conditioner controls are conveniently located in headliner. 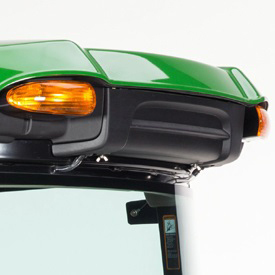 Vents in the roof are located on both sides of the operator. 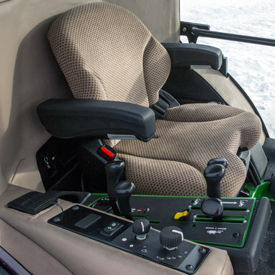 Comfortable cloth seat is provided for the operator. 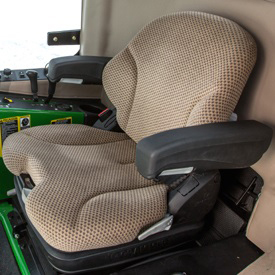 An ergonomically sculpted seat cushion, lumbar, adjustable seat back, air suspension, and seat armrests are combined to provide excellent operator comfort and support. 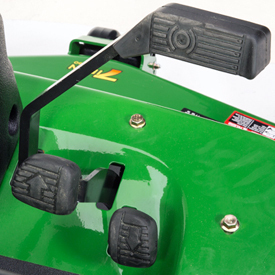 The operator can adjust suspension by increasing/decreasing pressure to place arrow in center of gauge for optimum comfort. 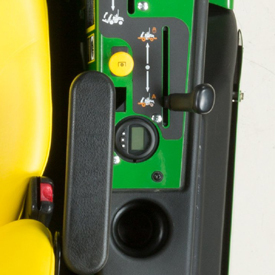 Using a lever located under the seat, the seat is adjustable fore and aft for operator height. 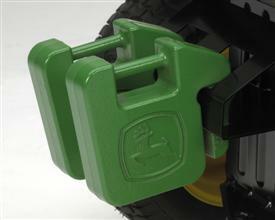 Retractable seat belts prevent belts from becoming tangled in the seat suspension and controls. 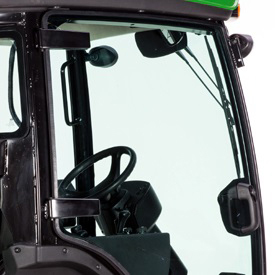 SiriusXM is a trademark of Sirius XM Radio Inc. iPod is a trademark of Apple Incorporated. 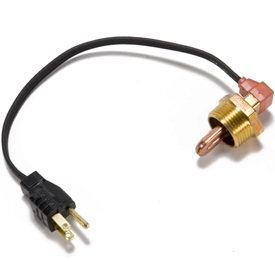 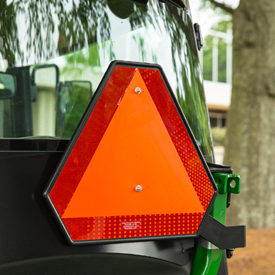 Heads-up indicator lights are always visible to the operator for easy monitoring. 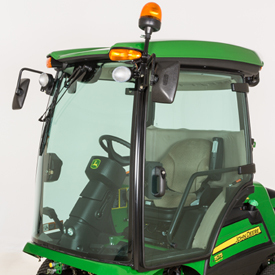 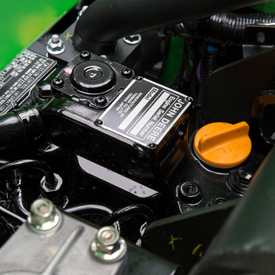 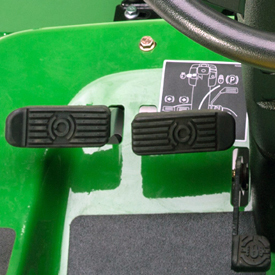 4WD control lever is standard on 1575, 1580, and 1585; factory-installed option on 1550 and 1570. 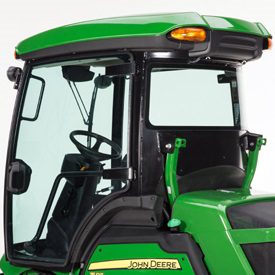 With 23x10.5 tires, wide stance, 58 in. 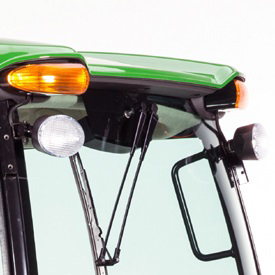 The beacon light may be required for certain governmental or commercial applications. 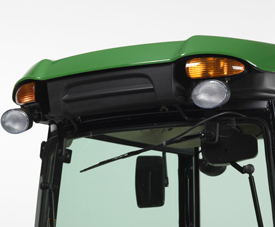 This kit consists of a high-intensity light that rests inside an amber-colored safety lens. 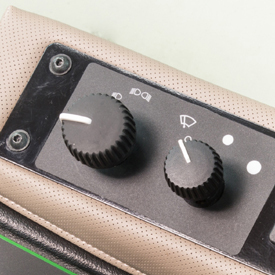 A rocker switch controls its actuation. 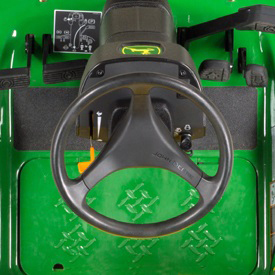 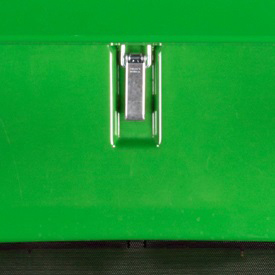 It can be located on the right-hand control panel for convenient access. 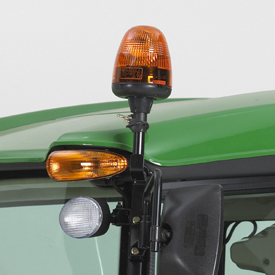 The top of the beacon light is approximately 8 in. 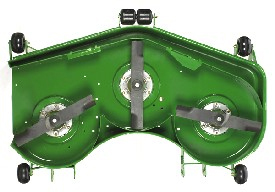 (20.3 cm) above the cab roof. 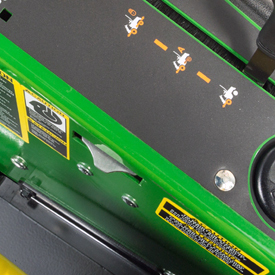 Allow 30 minutes to install. 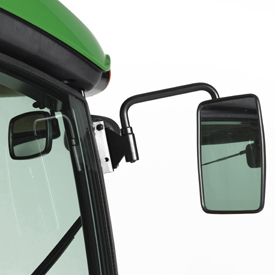 Dual external mirrors provide a wide rear view of road or field and can be ordered for use on cab models. 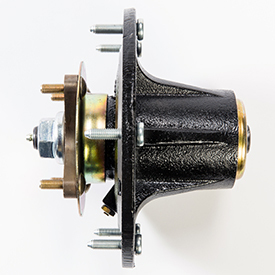 This kit contains one left-side and one right-side mirror with mounting hardware. 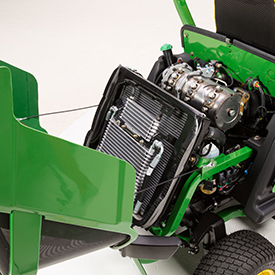 Sound systems provide powerful performance. 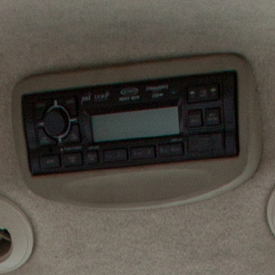 AM/FM stereo radios are available with or without a compact disc (CD) player and other features. 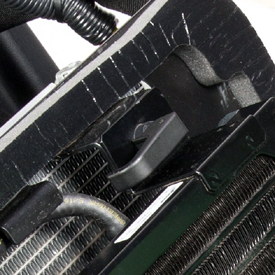 For clear reception, an external antenna is included. 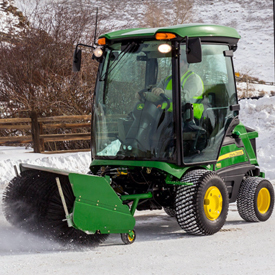 Tire chains provide additional traction for the machine. 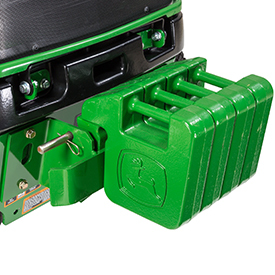 The 42-lb (19-kg) Quik-Tatch weight can be used to counterbalance a heavy front or rear attachment and/or provide greater stability, especially when operating on hills. 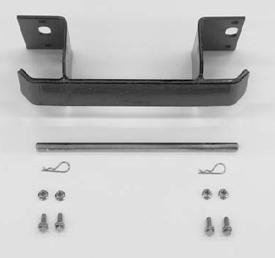 Weights are constructed of cast iron and weigh approximately 42 lb (19 kg) each. 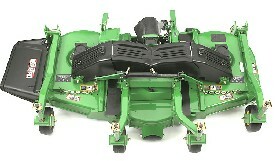 Drive tires are available for field installation.